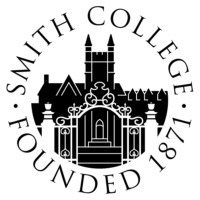 I am an Assistant Professor in the Department of Mathematics and Statistics at Smith College. My work is primarily in combinatorial optimization and approximation algorithms (my PhD was in Operations Research, under David Shmoys at Cornell). I am particularly interested in stochastic optimization problems in graphs: how well can spatial decisions be made when only probabilistic information is available? The graph/network setting becomes even more intriguing as a growing number of scientists (ecological, social) have adopted this tool to model complex heterogeneous connection/closeness/mixing. These applications demand increasing awareness that both inputs and the effects of interventions may be non-deterministic. Many issues in the sustainable management of natural resources can be addressed from this perspective: I am particularly interested in the spread of wildfire (namely preventive controlled burning) and invasive species. Since most combinatorial problems of interest are NP-hard we focus on provably-good approximations (sometimes for special cases with additional structure). I am also interested in computational exploration to understand strong qualitative departures which may occur for settings that lack convenient mathematical properties. During 2012-2013, 2013-2014 I was a Neukom Postdoctoral Fellow at Dartmouth College (at the Neukom Institute for Computational Science) . There I sat jointly in Computer Science and Environmental Studies. During that time I first became interested in the network-scale implications of various models of behavior change from behavioral economics around voluntary provision for environmental quality. This work is joint with my postdoc advisor Richard Howarth. Summer 2016: I'm giving the U. Washington Trends in Optimization Seminar (May 17) , will be at the (Preparation for Industrial Careers in Mathematics workshop in late May), and I'm speaking at the July SIAM Meeting in a session on Implementing Transformational Undergraduate Modeling Experiences . In August I'll attend the Algorithms and Uncertainty Boot Camp at the Simons Institute. Summer 2017: I'm speaking at the AMS sectional Meeting at Hunter College, NYC in May, participating in the Beyond Planarity Mathematics Research Communities Workshop at Snowbird, UT in June, and will start a Geometric Combinatorics semester at MSRI (Mathematical Sciences Research Institute) in Berkeley, CA in mid August. Summer 2018: I gave the SIAM colloquium at Williams College. In late May, our Conservation Hierarchies working group has an on-site meeting at NIMBioS. Also, I'll be at the SIAM Network Science Meeting in Portland, OR in July and I'm starting a sabbatical for Fall 18-Spring 19! G. Spencer, S. Carrattini, R.B. Howarth. ``Short-term Interventions for Long-term Change: Spreading Stable Green Norms in Networks." Review of Behavioral Economics: Vol. 6: No. 1, pp 53-93, 2019. D. Rolnick. G. Spencer. ``On the Robust Hardness of Gröbner basis Computation." Journal of Pure and Applied Algebra, Volume 223, Issue 5, May 2019, Pages 2080-2100. G. Clark and G. Spencer. ``New bounds on the biplanar crossing number of low-dimensional hypercubes: How low can you go?" Bulletin of the Institute of Combinatorics and its Applications (BICA) 83(2018), 52-60. G. Spencer. "Clustered Networks Protect Cooperation Against Catastrophic Collapse." Full paper at the journal Network Science, May 2018. A poster on this work was presented at "Complex Networks 2017" in Lyon, France. Y. Wei, G. Spencer. "Measuring the value of accurate link prediction for network seeding." Computational Social Networks, 2017, 4:1. G. Spencer.``Sticky Seeding in Discrete-Time Reversible-Threshold Networks." Discrete Mathematics and Theoretical Computer Science (DMTCS) Vol. 18:3, 2016, 2. J. De Loera, S. Margulies, M. Pernpeintner, E. Riedl, D. Rolnick, G. Spencer, D. Stasi, J. Swenson ``Graph-coloring ideals: Nullstellensatz certificates, Gröbner bases for chordal graphs, and hardness of Gröbner bases." Proceedings of the International Symposium on Symbolic and Algebraic Computation (ISSAC) 2015. D. Shmoys, G. Spencer. Extended Journal Version: "Approximation algorithms for fragmenting a graph against a stochastically-located threat." Theory of Computing Systems 56(1), January 2015, p 96-134. G. Spencer. "Robust Cuts Over Time: Combatting the Spread of Invasive Species with Unreliable Biological Control." AAAI Proceedings, 2012. D.B. Shmoys, G. Spencer. “Approximation algorithms for fragmenting a graph against a stochastically-located threat.” To appear, WAOA Proceedings 2011. Invited to Special Issue of the journal Theory of Computing Systems. I. Gorodezsky, R. Kleinberg, D.B. Shmoys, G. Spencer. “Improved lower bounds for the universal and a priori TSP.” APPROX-Random Proceedings 2010, pp. 178-191. G. Spencer, F. Su. “The LSB Theorem Implies the KKM Lemma.” The American Mathematical Monthly, 114:2 (February 2007). J. Asplund, E. Czabarka, G. Clark, G. Cochran, A. Hamm, G. Spencer, L. Szekely, L. Taylor, Z. Wang. ``Using Block Designs in Crossing Number Bounds.'' Accepted to appear at the Journal of Combinatorial Designs. T. Liu. G. Spencer. ``Biased Edge-Weighting Schemes Can Boost Reproducibility of Centrality Measures in Brain Networks." Submitted. E. Mainou, G. Spencer, D. Shepardson, R. Dorit. ``The wisdom of a crowd of near-best fits: Drug-Resistant Tuberculosis in the United States." Submitted. "Optimizing Exam Scheduling at Cornell University." An upcoming draft on consulting work for the Registrar's Office with David Shmoys and Bob Bland. My undergraduate math thesis at Harvey Mudd: "Combinatorial Consequences of Relatives of the Lusternik-Schnirelmann-Borsuk Theorem." Available online, unfinished: G. Spencer, F. Su. "Using Topological Methods to Force Maximal Complete Bipartite Subgraphs Of Kneser Graphs." Graph Theory, MTH 255 (Smith College). Spring 2018 (28 students) and Spring 2016 (22 students). Course builds from immediate implications of definitions and classic existence results to careful analysis of graph algorithms. Proof-based lectures paralleled by a series of MATLAB-based labs that develop key questions in modern network science (degree distribution, degrees of separation, etc). Supplementing traditional exams, students conduct team-based final project to extend a topic from class (mathematical or computational). Main project deliverable is a class presentation. Sample computational labs: Lab 3: Random Walk Visit Frequency and Preferential Attachment, Lab 4: Max Cut: Random and Greedy Partitions, Local Improvement. Optimization (as MTH 353 at Smith College, and CS 84/184 at Dartmouth College). Spring 2017 (22 students), Spring 2015 (14 students), Winter 2013 (23 students). Senior/Seminar/Master's-level. Linear Programming with Duality, Integer Programming and Modeling, Dynamic Programming, Specialized Methods. Course included weekly homeworks, bi-weekly computational lab (AMPL), prelim, final, final project. Sample computational labs: Lab 3: Facility Location and Amazon Locker Placement, Lab 4: Smoothing Inpatient Load in Hospitals. Discrete Mathematics, MTH 153 (Smith College). Nine sections during Fall 2014-Spring 2018 (32-38 students per section). Combinatorics (including Discrete Probability), Number Theory, and Graph Theory. Develops several proof techniques (including: induction, contradiction, combinatorial proofs). Weekly homeworks, "Proof Lab" days culminate in revise-and-resubmit Proof Portfolio, midterm and final. A "letter to colleagues" about the Proof Portfolio appears in the April/May 2017 Issue of the MAA Focus Magazine (pages 10-13). Modeling in the Sciences, MTH/CSC 205 (Smith College). Spring 2016 (20 students). Sustainability-themed series of modules on Markov Models (age-structure and compartment models, randomness, notions of convergence), LP/IP (spatial processes and planning), Dynamic Programming (planning over time). Technical Lectures, short worksheets, extended computational labs (in MATLAB), contemporary literature review with discussion (15+ research papers over the semester), and final project with primary research-literature sources and presentation. Similar to Dartmouth Course listed below. Computational Toolbox for Environmental Sustainability, ENVS 80.4 (Dartmouth College). Winter 2014 (9 students). Zero-technical prerequisite course for junior/senior Environmental Studies majors. Markov Models, LP/IP, Dynamic Programming. Technical Lectures, short worksheets, extended computational labs (MATLAB), contemporary literature review with discussion, final exam, and final project. A short "letter to colleagues" about this course appeared in the August/September 2015 Issue of the MAA Focus Magazine (pages 35-37).